Improved workout selection screen including workout thumbnail images. 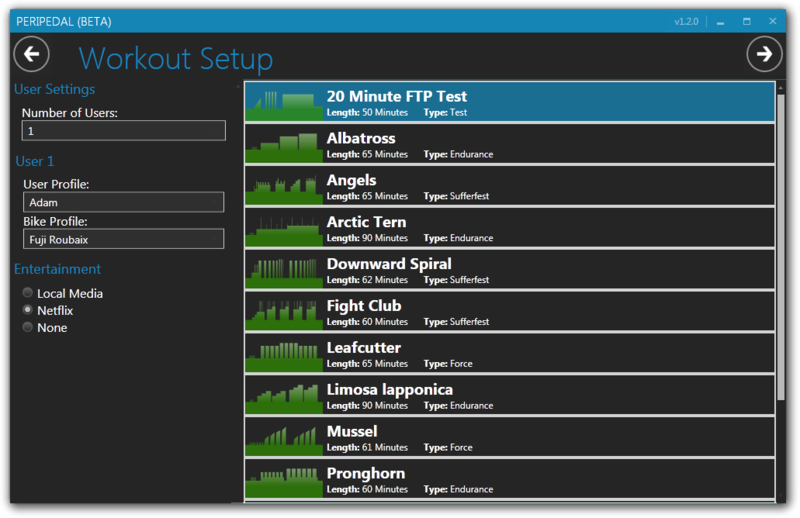 After an FTP Test users will be prompted with their new FTP value and given the option of updating their profile automatically. Fixed issues with some trainer power curves. Added a few new workouts.